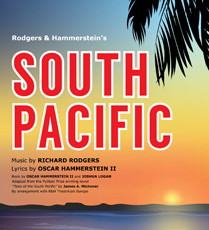 Kilworth House Theatre, by arrangement with R&H Theatricals Europe, presents Rodgers and Hammerstein’s SOUTH PACIFIC from 30th May 2014. 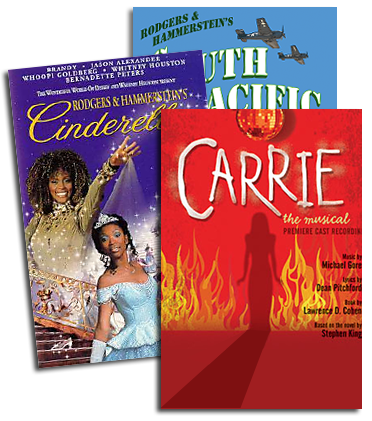 One of the greatest and most popular musicals of all times ‘South Pacific’ includes some of musical theatre’s most memorable standards, including ‘Bali Ha’i’, ‘I’m Gonna Wash That Man Right Outa My Hair’, ‘Some Enchanted Evening’, ‘There Is Nothin' Like A Dame’, ‘Happy Talk’, ‘Younger Than Springtime’ and ‘I’m In Love With A Wonderful Guy’. The cast which has been put together just for this show features stars of the West End stage including Celia Graham (Nellie Forbush); Mark Inscoe (Emile de Beque); Wendy Mae Brown (Bloody Mary); Gracie Lai (Liat); Daniel Robinson (Luther Billis);Christopher Jacobsen (Lt. Joseph Cable); Graham Hoadly (Capt. George Brackett) and Oliver Stoney (Cmdr. William Harbison). Producer Celia Mackay is joined once again by Director & Choreographer Mitch Sebastian and Musical Director Garth Hall, with Set & Costume Designer Philip Witcomb, Lighting Designer Mark Howland and Sound Designer Chris Whybrow completing the creative team.